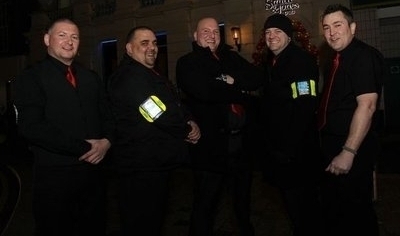 Since 2004 Moray Security Ltd has supplied Door Supervisors throughout Scotland. Our staff are at the forefront of the service we provide and are trained to present your business in the best possible manner. Our senior management team posesses over 30+ combined years of experience in this sector providing you the customer with a unwavering level of support and experience. Contact Moray Security to find out more about our Door Supervision services. Whilst our Door Supervisor services are mainly utilised in the North of Scotland in areas such as Grampian, Highlands and Lochaber we do provide coverage throughout the whole of Scotland with prior arrangement.